Note: the article was updated in June 2018. According to a Data Research conducted by Testuff, a provider of solution for test management activities, 27% of test management tool users prefer to utilize emails as a bug tracking system. Then comes such paid tools as FogBugz (20%) and Jira (16%). Numbers are incredible, don’t they? BUT the mentioned research was conducted on February 24, 2011. What is the current situation with the usage of bug tracking solutions and test management tools? Let’s have a look. According to the study conducted by PwC, a provider of global review, only 2.5% of companies accomplished 100% of projects successfully. 200 companies and 10,640 projects were reviewed. Lack of planning and breakdown in communication are the main reasons for project failure. Nowadays, enterprises, middle-size and small companies cannot work effectively without test management and bug tracking solutions. The matter is that software products become more and more sophisticated, thus it is a high possibility of bugs to appear. Using management tools teams can arrange a smooth communication and workflow minimizing the risks. A large number of bug tracking tools are available now. For example, overviews of 83 bug tracking software are available at G2Crowd, a provider of business software and services reviews. Issue tracking systems are used by QA (Quality Assurance) teams to communicate with Project Managers and Developers. Analyzing G2Crowd Grid for Bug Tracking systems, you’ll see that Jira still remains the leader at the market. The system first launch was 2002, and it still continues to develop. 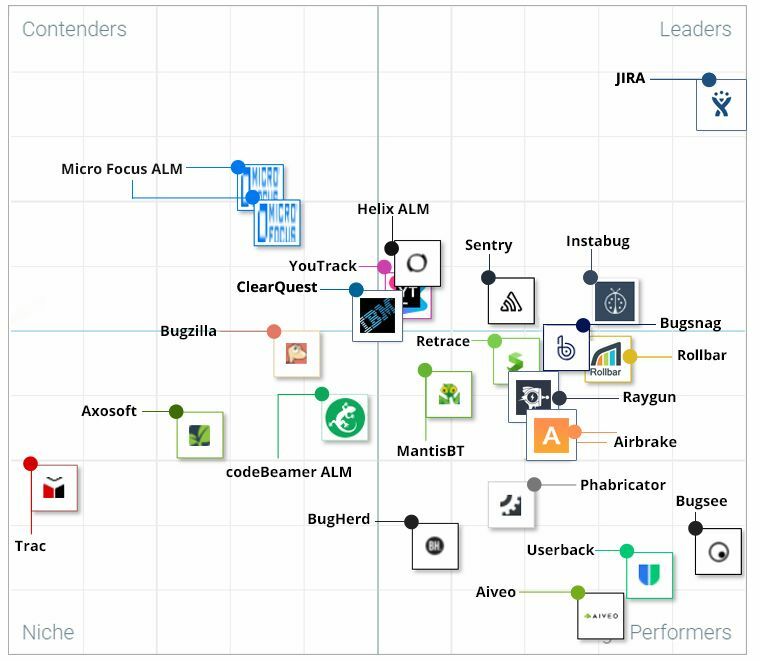 YouTrack, Helix ALM, Bugsnag, Instabug, and Sentry are also in the Leader quadrant. So, if companies don’t need and don’t use bug trackers, then why available tools are still supported? 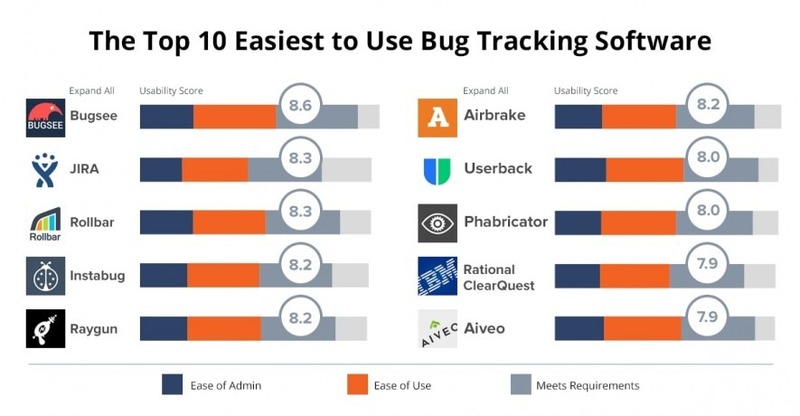 Now companies are trying to select easy-to-use and fast-to-learn bug trackers. G2Crowd provides the list of top user-friendly systems. It’s only up to you whether to use a bug tracking system or not. What will you choose?